The government’s plan to overhaul Australia’s skilled migration program has alarmed an organisation representing the local ICT industry. The government announced yesterday it would replace the 457 temporary visa class with a new Temporary Skill Shortage (TSS) visa, which would be available for a smaller range of roles and have additional conditions attached to it. The chief executive of the Australian Information Industry Association (AIIA), a group that represents the ICT industry, said that many of its member companies rely on 457 visas to meet short-term demands. “ICT is Australia’s fastest growing sector – growing at a rate of 2 per cent compared to 1.4 per cent per annum growth for the workforce as a whole – yet we are still losing skilled workers to a globally competitive market,” AIIA CEO Rob Fitzpatrick said. The government’s announcement that is it overhauling the scheme received a warmer reception from the IT Professionals Association (ITPA) and Australian Computer Society (ACS). “Any moves by the federal government to improve the system by which skilled labour is imported to Australia is a positive in the view of the ITPA because we believe there were some serious anomalies in the IT industry under the existing 457 temporary visa system,” ITPA president Robert Hudson said. The ITPA has accused some companies of abusing 457 visas. “We are happy that the government appears to have listened to what we and other industry professional organisations have been telling them about how the skilled worker visa system is being rorted at the expense of local workers,” Hudson said. The government revealed yesterday that there would be two streams of TSS visa: One a four-year visa, which the government said would be available for a narrower range of roles, and another would have a term of two years (with a further two-year onshore extension possible). In addition to those roles, short-term visas will be available for cabler (data and telecommunications); chief information officer; database administrator; hardware technician; ICT account manager; ICT business development manager; ICT customer support officer; ICT managers; ICT project manager; ICT quality assurance engineer; ICT sales representative; ICT security specialist; ICT support engineer; ICT systems test engineer; ICT trainer; multimedia specialist; network administrator; network analyst; software and applications programmers; software tester; systems administrator; telecommunications linesworker; web administrator; and web designer. “The changes are a step in the right direction but the ITPA believes the new system will still be open to abuse,” Hudson said. “To help reduce the likelihood of future abuse of the system, there needs to be more transparency in the skilled visas being approved. The list of occupations for which the new visas will be available drew a rebuke from the ITPA head. The visas will include a number of new conditions, including in some cases market testing. 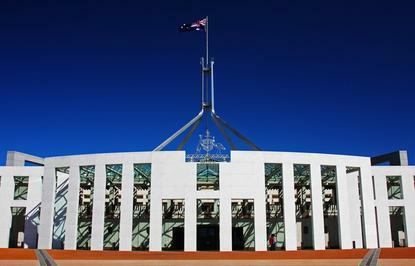 “While labour market testing and training benchmarks have previously existed in the 457 Visa framework, we see tightened criteria under a TSS programme as an important signal that the Turnbull government understands the need to treat Australia’s human capital as a strategic asset as we expedite our transition to the digital and knowledge-based economies,” Wong said. A statement issued by shadow immigration minister Shayne Neumann and shadow employment minister Brendan O’Connor said that Labor is concerned that the government “is just rebadging the same visa system with the same dodgy loopholes”.